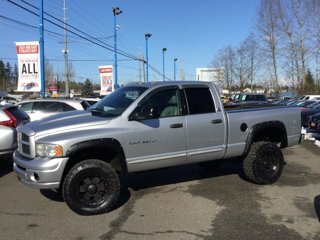 Find a great sale price on this 2006 Dodge Ram 3500 4dr Quad Cab 140.5 SRW 4WD Laramie at Zag Motors in Lynnwood and Everett WA. This 2006 Dodge Ram Pickup 3500 is located at our dealership. We also serve the cities of Marysville and Seattle. So if you're looking for a great price on this 2006 Dodge Ram 3500 4dr Quad Cab 140.5 SRW 4WD Laramie or just looking to get an auto loan for the vehicle you want... you've come to the right place! Zag Motors. 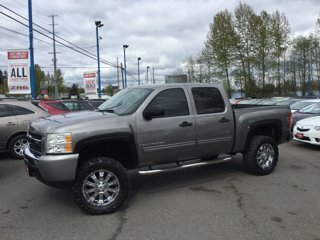 **CLEAN CARFAX**, Ram 3500 Laramie, 4D Quad Cab, Cummins 5.9L High-Output Turbodiesel, 4-Speed Automatic, 4WD, **LEATHER INTERIOR**, SUN / MOON ROOF, Alloy Wheels, Audio Pacakge, Courtesy Light Illum Package, Heat Package, Leather Seats, Light Package, Power Mirror Package, Power Package, Premium Audio Package, Safety Package, Security Package, Sound Package, Tow Package.